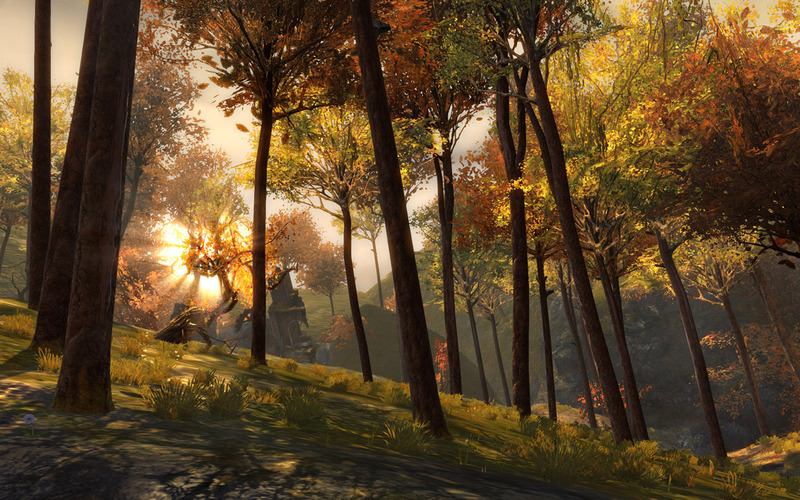 As I mentioned in my questions and answers post, I'm not allowed to share my own screenshots of the Guild Wars 2 beta weekend with you folks, so Arenanet and NCsoft provided me with 10 official screens vaguely connected to this weekend's experience. How vaguely connected? 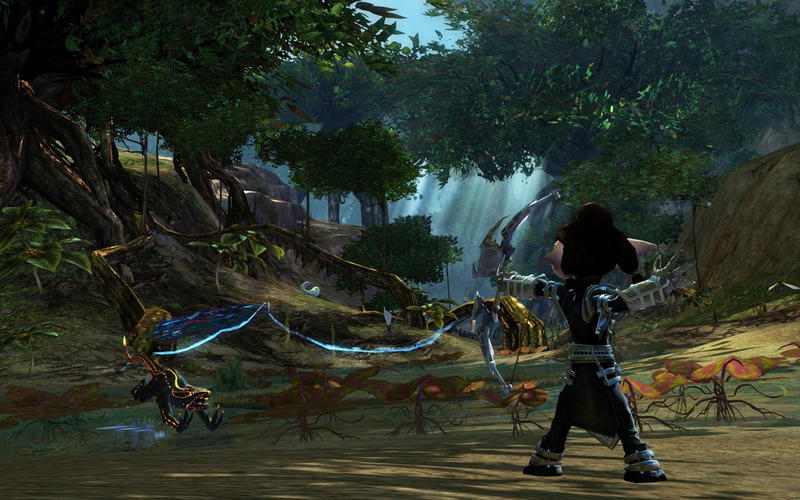 The top shot here shows an Asura thief, a race / profession combination that wasn't available to play this past weekend. Flip through the gallery for the official shots and official descriptions of things I may or may not have officially seen over the past three days. A hail of deadly trebuchet shots rain down on a stronghold under siege in World vs World, a game mode that pits armies of hundreds of players against each other on vast maps. 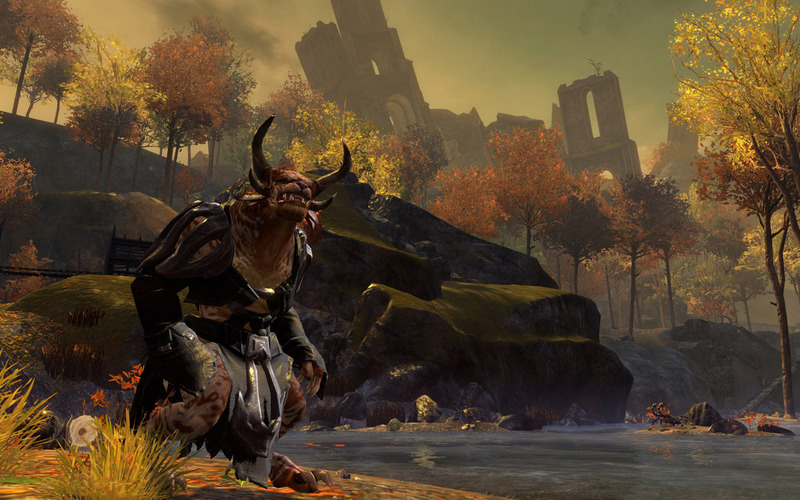 A charr patrols the countryside outside the Black Citadel, a massive fortified city built among the ruins of a long-conquered human kingdom. Don't get too close to these grubs — they spit nasty acid! 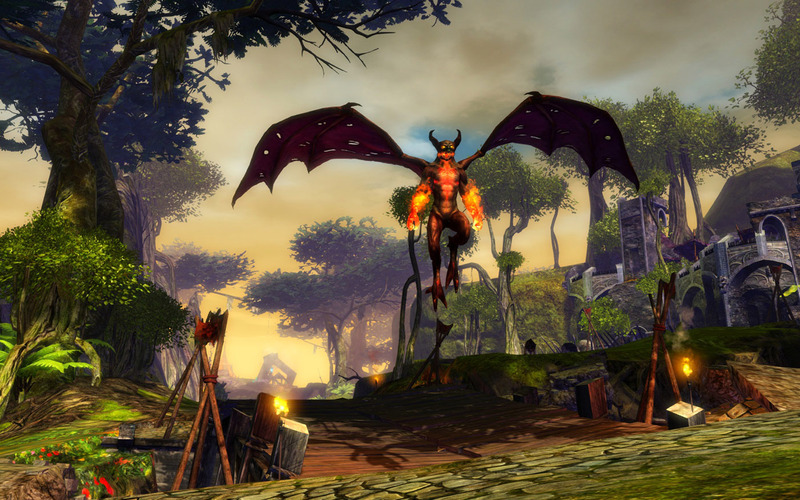 This flaming fire imp is one of the many dangerous creatures travellers in Tyria may encounter. 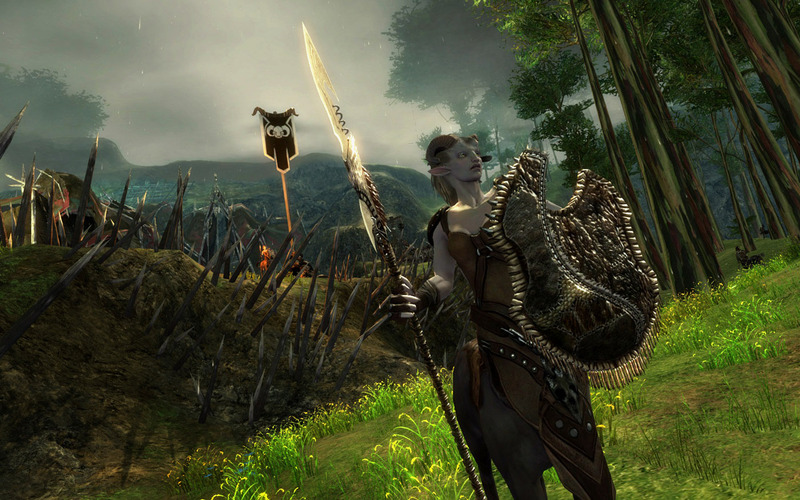 A female centaur stands watch outside of a crude fortified camp. 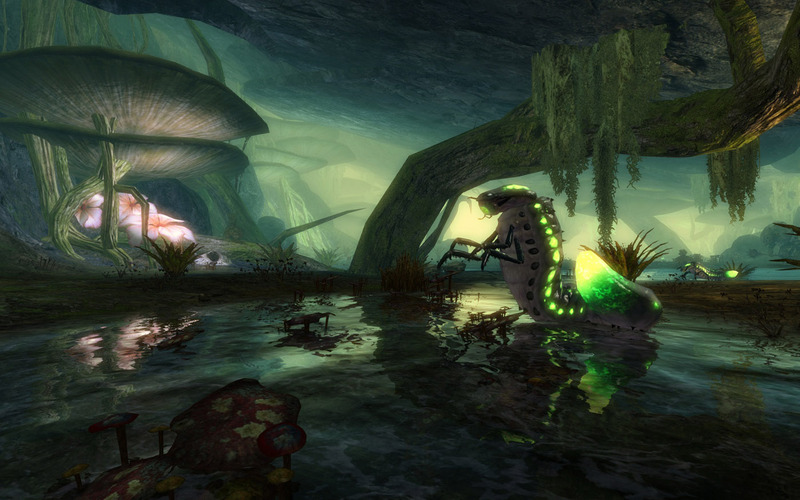 The proud, savage centaur tribes continually raid human settlements in the Krytan countryside. 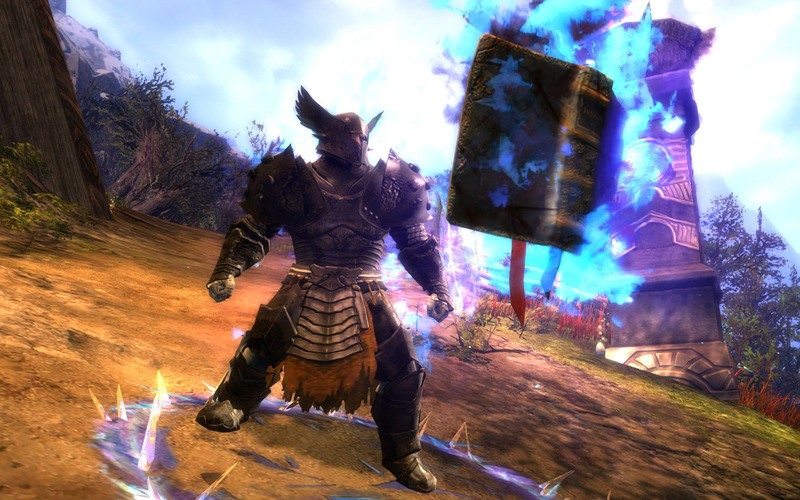 A norn guardian casts the Tome of Wrath skill. This elite skill allows a guardian to summon a giant book, the Tome of Wrath, which provides him with 5 new skills that damage his opponents. 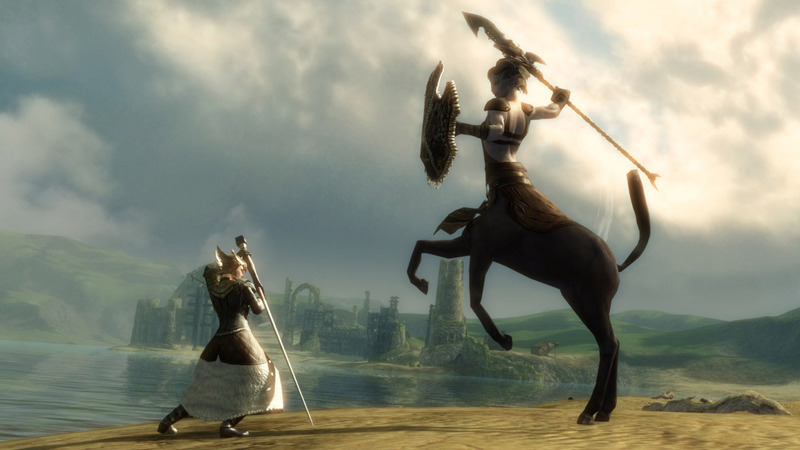 A human ranger faces off against a female centaur. 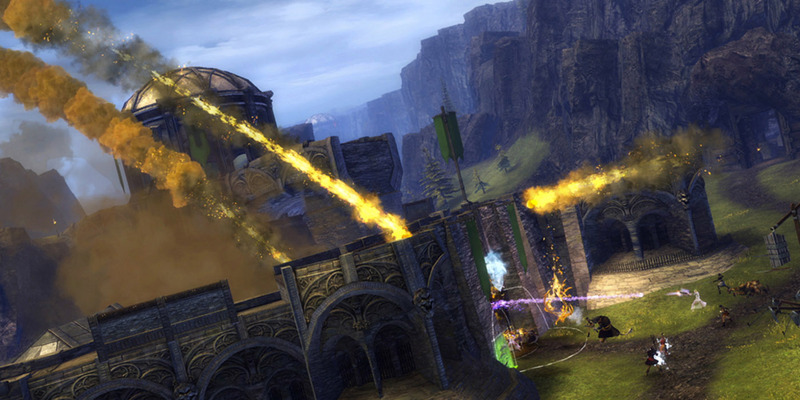 A group of female engineers assemble outside a stronghold on the World vs World map. 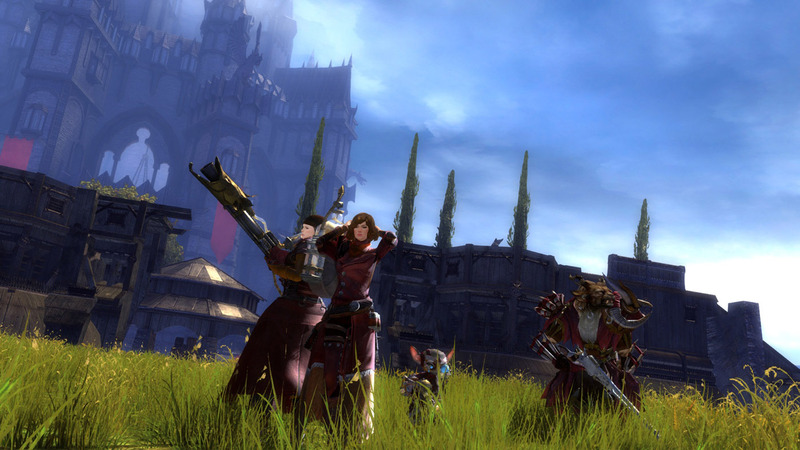 Pictured is a norn engineer with flamethrower kit, a human engineer, an asura engineer, and a charr engineer with a rifle. I'm so pre-ordering this game. *sniff* *sniff* pwwwwwr I think blizzard just shat them selfs.